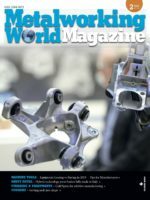 Ingersoll Machine Tools and Oak Ridge National Laboratory are in a partnership to develop Wham, a very large 3D printing system which includes automatic exchange of the printing extruder with a high-speed, 5-axis milling attachment for conventional subtractive finishing operations. 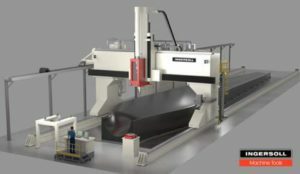 The material to for which the machine will be first developed to apply Techmer’s (Clinton, Tennessee) ABS with 10% chopped carbon fiber reinforcement. Wind energy, aerospace, automotive and defense will be the primary targeted markets. Ingersoll has entered the WHAM development process through a cooperative research and development agreement with Oak Ridge. Previous Post DMG Mori still meeting targets forecasts Next Post FormItaly at Euroblech 2016: visit our stand!